Sasken Technologies Ltd., (formerly Sasken Communication Technologies Ltd.), a leading product engineering and digital transformation solutions provider, is participating in the Satellite 2017 to be held from March 6 to 9, 2017 at the Walter E, Washington Convention Center in Washington, D.C, USA. At the event, Sasken will showcase a handheld satellite terminal developed end-to-end for the world’s leading satellite service provider in a record 18 months. Sasken provides extensive expertise to global satellite communication leaders in developing terminals, virtualizing networks, and enabling telecommunication with satellites. At Satellite 2017, Sasken, along with its partner, Pensa Networks, will present case studies on supporting some of the world’s leading satellite service providers in areas such as sustenance, SDN, and virtualization. Sasken’s strong track record in the satellite communications domain has been particularly symbolic in developing and delivering a complete satellite phone – the IsatPhone 2 – in 18 months for Inmarsat. The IsatPhone 2 complies with GSM and GSMR2+ specifications and delivers the longest battery life in competition with exceptional voice quality, low cost rugged design (IP54 rating), and low foot print modem and application framework. 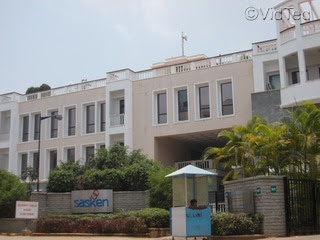 In addition, Sasken has executed a full product program RnD for 15 mobile handset products with conceptualization, integration, productization, and production ramp up.